We couldn't live without acetylcholine (ACh). It's an important neurotransmitter within the body and, in fact, was the very first neurotransmitter discovered. The moving title of this article was chosen to impress upon the reader the importance of this neurotransmitter to processes within the body that require movement, from skeletal muscle or smooth muscle. It's also vitally important for brain function, playing a key role in memory, learning and cognition. It functions to relay signals from one neuron to another in the central nervous system and from a neuron to a muscle fiber in the peripheral nervous system. ​more than just plaques and tangles? There are many factors that impact growth in children. All factors must be optimized in order for optimal growth to occur. Focusing on one factor, like growth hormone alone, will not always result in optimal growth and will leave other underlying causes unaddressed that can have detrimental impacts to other areas of the child's health. Addressing only one factor that alleviates a symptom happens often in medicine. The problem with this model is that many other factors will get missed and contribute to issues in other areas including cognition. Can something as simple as a sore throat lead to changes in the brain that result in significant negative behaviors, loss of speech, restricted eating, and loss of fine motor skills? As it turns out, the answer is "yes". This doesn't happen in all children, but for a certain subset of children it can, especially those who are at increased risk of developing autoimmune disease or those who already have an autoimmune disease. 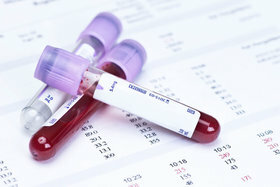 Children and adults with Down syndrome are among those who carry an increased risk of autoimmune disease including autoimmune thyroid disease, type 1 diabetes and Celiac disease. This wet sock treatment is used to stimulate the immune system and increase blood circulation. It works by increasing blood flow to the feet which helps reduce blood flow and congestion to the upper respiratory system. This treatment is an old, effective natural remedy and can be used as a replacement for fever reducing medications. It is best to use this wet sock treatment on the first day of the illness and to do it for a few nights in a row for maximum effectiveness. Phenols - Helpful or Harmful? ​Phenols are found in some of the healthiest foods and supplements we consume. The foods highest in phenols are all berries, dark-skinned grapes, pomegranates and other fruits with dark red and purple pigments. In many cases it's the phenols that make them healthy. There's a flip side to phenols though. It's a perfect example of "too much of a good thing". I'll explain here all of the health benefits of phenols, how the body processes them, how things can go wrong, symptoms of too many phenols and what to do about it. ​It's common practice for parents to give children Tylenol (acetominophen, paracetamol) for fevers. There's a lot of evidence pointing to that not being the best way to support your child during an illness and some evidence that it may actually be harmful. I'll review here the mechanism behind a fever, why it's important to manage a fever and not suppress it and research behind the potentially harmful effects of Tylenol. ​Down syndrome, as many who are reading this know, is caused by an extra copy of chromosome 21. The overexpression of the enzymes coded for from genes on this chromosome cause imbalances in methylation and oxidative stress, within the body (1, 2, 3). Imbalances of these two processes are implicated in the neurodegeneration and cognitive impairment associated with Down syndrome. Addressing these imbalances through the use of diet, vitamins and supplements can make a big impact on cognition and development for a child with Down syndrome. Those are some strong words that likely got your attention whether you're a parent or a physician. Medical neglect typically refers to a parent who neglects to seek out professional help for their child who is in obvious need of medical attention. This is not the medical neglect to which I'm referring. I would like to broaden that term to include physicians. That's right. Physicians who took an oath to "do no harm" now work in a healthcare system that doesn't give them enough time to always fully help their patients. The amount of white matter we have in our brains is vital to proper brain function. The substance that makes up white matter is a fatty protein called myelin. The fat component is what gives myelin it's white appearance. 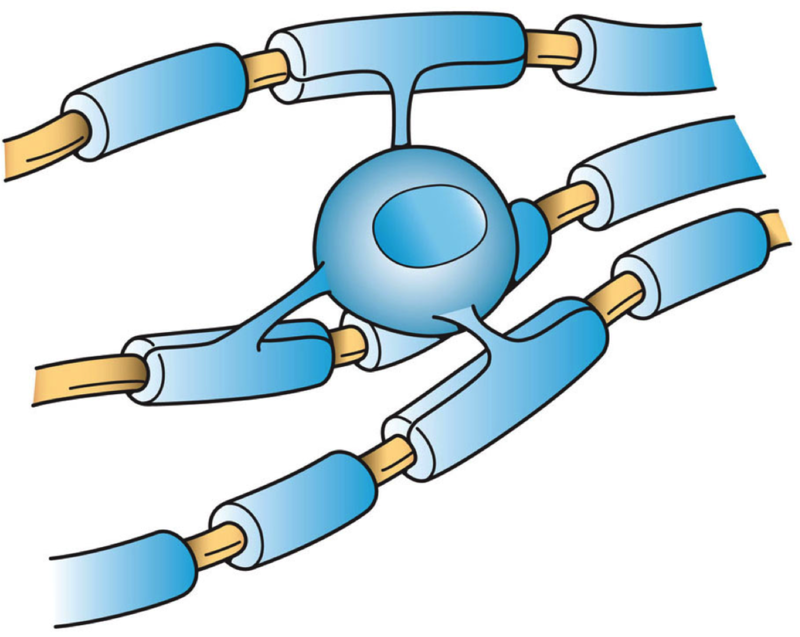 In the brain this substance is created by specialized cells called oligodendrocytes (image 1). They have multiple projections or arms that wrap around nerve axons to insulate them. The presence of this insulating layer is essential for nerve conduction. Normally a nerve impulse travels down an axon in a wave. In the prescence of myelin sheaths the impulse jumps and moves exponentially faster. I will explain here normal mitochondrial physiology then discuss mitochondrial dysfunction arising from vitamin deficiencies and biochemical disturbances that can interfere with their function. I will not be discussing genetic defects in mitochondrial DNA that impact how they function as this is a whole topic unto itself. 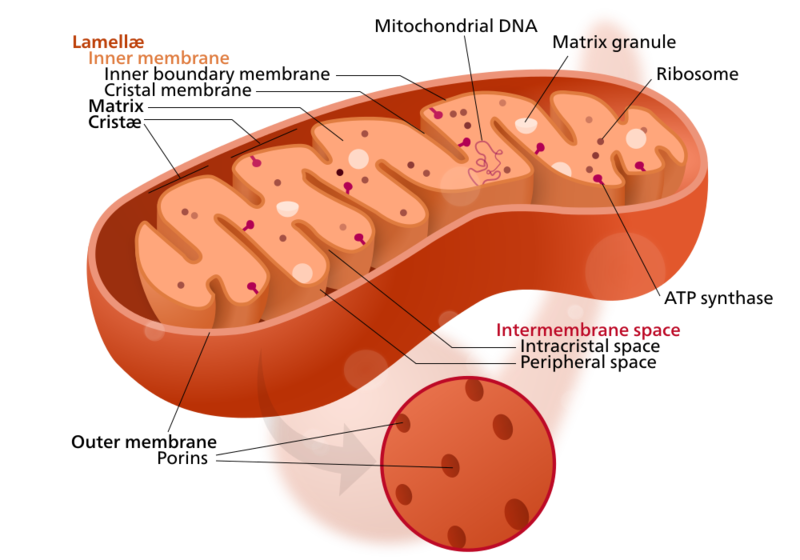 ​Mitochondria are small organelles that exist within cells. The number of mitochondria in cells varies greatly throughout the body. Some cell types can have as many as 1,000 - 2,000 mitochondria per cell. Located on the multiple folds of the inner membrane as well as within the fluid spaces of mitochondria are enzymes that convert breakdown products from glucose into energy. Understanding the formation, function and manipulation of microRNA (miRNA) is a new and exciting area of genetic research. MicroRNA are implicated in diseases like cancer, multiple sclerosis, Parkinson's disease and Alzheimer's disease (Li 2012). They have also been studied for their role in developmental and cognitive function in Down syndrome. I'll explain here some basic principles of how RNA functions to make protein from DNA and how microRNA function differently in Down syndrome as well as some tools that are potentially helpful to normalize their function.